If you asked me to only use one word to describe life as a postgraduate studying ‘Quantitative Finance’, I would say ‘challenge’. 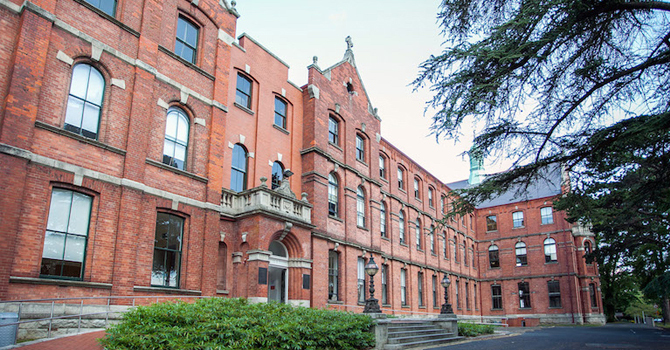 Please don’t freak out; being a Quantitative Finance student in UCD Michael Smurfit Business School is one most challenging but also meaningful and enjoyable experience in my life. I have immersed myself in the surprises and challenges it has brought to me from the moment I got to university. Sometimes university life might be hard for international students, but c’est la vie, and my love for it has never diminished. If you are like me and like to think a lot, perhaps studying Quantitative Finance will be the best choice for you —The Quantitative Finance students never stop thinking. It is more a process of associating various ideas rather than deep thought about just one particular idea. One of the most important lessons that I have learned from being a Quantitative Finance student is that things have subtle connections. When you are solving one problem, you may find the solution can also be applied to many other similar situations. The more you think, the more you explore and the more you gain from thinking. The daily life of a Quantitative Finance student is to deal with figures, whether it is from data mining or public announcements. One of the greatest economists, Milton Friedman, once said, ‘Inflation is always and everywhere a monetary phenomenon’. To a Quantitative Finance student, ‘Figures are always and everywhere a daily phenomenon’. We are surrounded by hundreds and thousands of figures every day and the Quantitative Finance students has the ability to search through these useful figures as well as sort, process and analyse them, to construct a conclusion. I know it sounds like a complex procedure, but that is where it gets fun. Nothing compares with the sense of satisfaction and accomplishment when you hold a well-structured report with clearly formatted graphs, tables and analysis. Figures are like a gold mine, and the ‘gold miner’ can find treasure and fun in it. Studying Quantitative Finance is far beyond studying financial theories. It is more of a big net, which collects and connects finance, computer science, data analysis, portfolio programming and many other things. The challenges not only lie in the understanding of so many concepts, but also in applying the right techniques in project analysis. The study pace in Smurfit can be very quick, and most of time, you need to deal with several things simultaneously. The lectures, tutorials, individual assignments, group work, all require you to spend time on them and put in extra effort. You may get nervous, feel pressure and even feel overwhelmed sometimes, but just remember, everything will be fine and you will get through it. The life of a Quantitative Finance student is intense and challenging but you always find fun in it — perhaps from your lessons or your classmates or team members. Just trust me, you will find your own fun. If you choose to study Quantitative Finance in either undergraduate or postgraduate, just like me, you will be proud of yourself when you finish it.